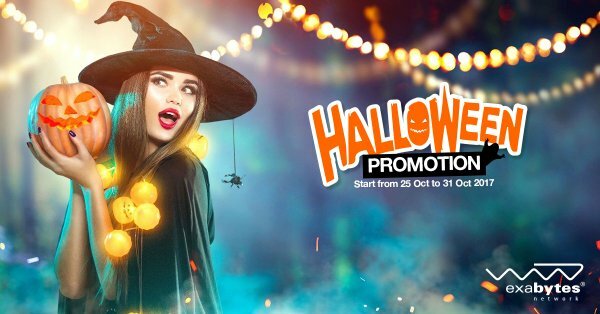 Halloween festival is coming, on this occasion, Exabytes continue to launch incentive programs for all their products/services. With domain name service, you can register .COM and .BLOG domains with the cheapest price. .COM for only $ 3.99 per year when using the DOMAINHALLOWEEN coupon and get Free DNS management. Plus coupon incentives you have introduced before , in total you will buy 4 domain name .COM . In particular, domain registrations in October will be free DNS Management services to manage DNS directly at Exabytes without having to pay an extra $ 1 as always. Finally, for all new VPS / Server service subscribers, Exabytes will free upgrade the Lite Management Plan to PRO Management Plan for you to manage more effectively, up to $ 600.